hosted by Russian-born classical pianist Natasha Marin and her husband, art advocate and entertainer Cheech Marin, this exclusive series of events are held at the couple’s private residence, and are designed to showcase and share their interests in art, music, good food, literary works, and great conversation with friends, new and old. Each event features an artist or an author, a musician, and a chef in an intimate, informal setting. Marin Salon Series present special events in conjunctions with other organizations to raise money for charity causes. 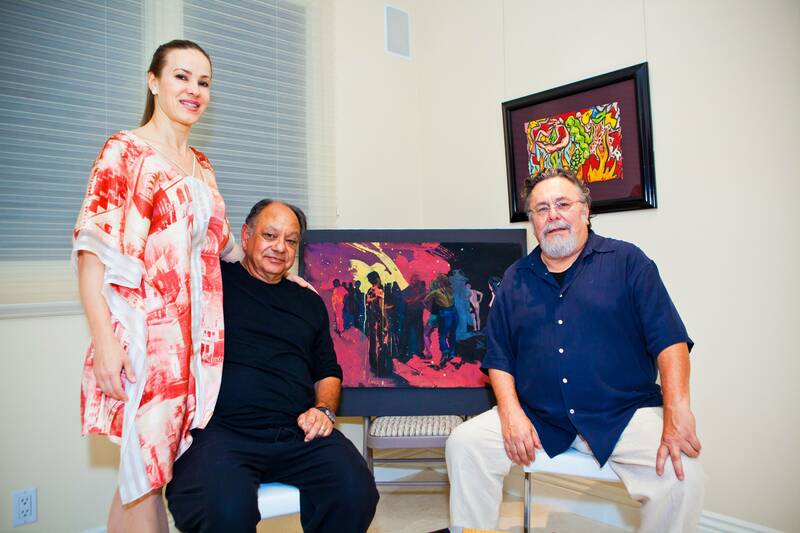 Hosted by Russian-born classical pianist Natasha Marin and her husband, art advocate and entertainer Cheech Marin, these events have been produced since 2009. Held at the couple’s private residence and other historic and cultural venues, past events include benefits for MOCA, UCLA Music Library and Craft and Folk Art Museum. Frank Romero, Sharon Lear Romero, John Valadez, Yolanda Gonzales, Bonnie Schiffmann, Jura Margulis, Radu Pieptea, Julia Barnett, Victoria Shereshevskaya, Dale Franzen. Voli Vodka, Patron Tequila, Reed’s Ginger Brew Beer, Victoria Beer, Frey Vineyards, Honest Tea, VeeV Acai Spirit, The Best for Last, The Paella Project. This exclusive Salon will feature acclaimed Novorealist artist Alexey Steele who will share works and memories from his recent painting trip to Mexico, and internationally acclaimed pianist and recording artist Jura Margulis who will perform his new piano solo arrangements of Giacomo Puccini’s “Crisantemi”, Saint-Saëns/Liszt’s “Danse Macabre”, J.S. Bach’s “Wir setzen uns mit Tränen nieder“, as well as Songs by Shubert-Liszt and Chaconne in d-minor by Bach/Busoni. Marin Salon Series and Contemporary Craft Council presented a special event supporting the Craft and Folk Art Museum featuring artists Frank Romero and Sharon Lear Romero and mezzo-soprano Victoria Shereshevskaya. 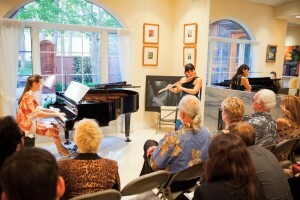 Marin Salon Series featured artist John Valadez and music by Arthur Foote performed by Julia Barnett (flute) and Natasha Marin (piano). 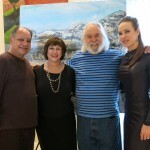 Marin Salon Series featured singer Dale Franzen and painter/playwright/actor Herbert Siguenza.